For priming interior surfaces and spot priming exterior surfaces. Formulated to seal, prime and block out stains on previously painted or new paintwork, dries in just 10 mins. Recoat in 30 mins. Approx coverage: 2m2. 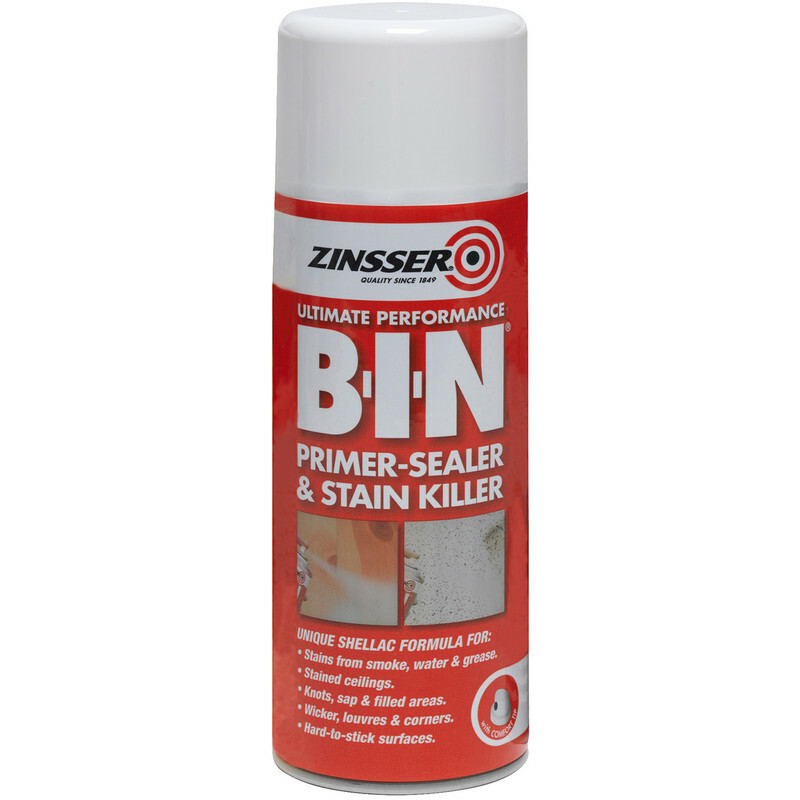 Zinsser B-I-N Primer Sealer Spray Paint White 400ml is rated 3.6 out of 5 by 5. Rated 5 out of 5 by Johnaro from Sticks like _ _ _ _ This is the best primer/ undercoat I've ever used . Rated 4 out of 5 by Wibblar from Good coverage of surface using Zinsa B. I. N I am happy with the coverage and quality of this product but need to remember not to spray the dregs as it spoilt the finish looking like a lumpy runny finish. I sprayed the doors and drawers of a double wardrobe and it looks fantastic with no other coats needed. Rated 5 out of 5 by DIY addict from excellent performance. Used this to prime stains on ceiling from water leak. Worked perfectly and dries within minutes and for a perfect barrier.